The migrants should build their camp right on the grounds of "power couple's" estate. I 'm sure they would welcome it because they care. 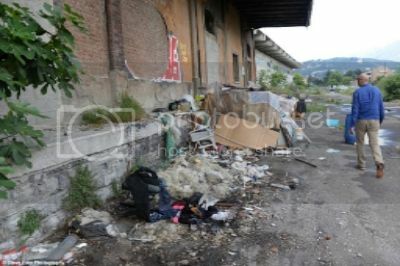 George Clooney's wealthy neighbours in the Alpine beauty spot of Lake Como say their Italian idyll is being ruined by the influx of hundreds of migrants to a makeshift camp on their doorstep. The picturesque area is best known as a hide-away for Clooney and a multitude of other Hollywood A-listers includ Brad Pitt, wife Angelina Jolie, and pop superstar Madonna. 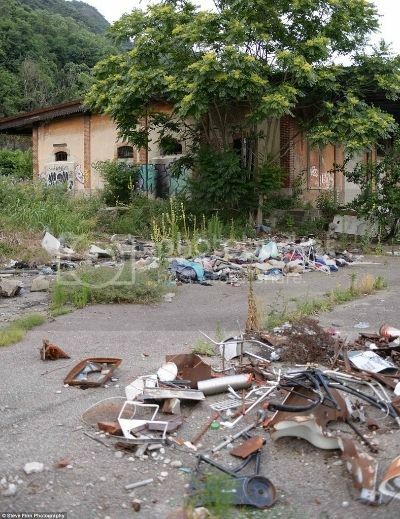 But a clamp-down by Switzerland on illegal immigrants entering the country from Italy threatens to turn this chic resort into a frontier town overrun by the homeless and desperate. Plans to set up a purpose-built migrant camp on the outskirts of Como had to be scrapped following bad-tempered protests from locals. Housewife Federica, 55, said: ‘A small number of immigrants is not a problem but now they are so many. ‘You see them arriving at that the San Giovanni station. They are not poor hungry refugees but they are big and strong. Chauffeur Santi, 26, said: ‘It is good for Switzerland that they have closed the border to migrants but it is bad for Italy. ‘We simply don’t have the resources to deal with all these new people. ‘Italy has lots of problems of our own without having to try to deal with other people’s problems. It is a complex situation. Instead immigrants, who have registered a claim for asylum in Italy, are housed in up to 100 hostels throughout the town. They also receive a Euro 75-a-month subsistence allowance while the demand is processed. There are a host of pictures at the link of this idyllic, A-Lister town, but I shall add only 3. I don't know about you but I think it totally unfair this heavenly couple should be subjected to these smelly, dirty people. I'm not as good as you. I'm experiencing Schadenfreude -. Looks like it's trash day. "Waiting for the Pick Up"
Such a great cross-cultural experience for the Clooneys! Time to show the love. Ivanka Golfs in Frank Cannon approved footwear! » « Who is your favorite Democrat?? ?